For more than 150 years, the White Mountains have attracted untold numbers of visitors from all over the world. The lofty peaks offer unlimited panoramas the view from the summit of Mount Washington extends for more than 100 miles in all directions and includes 33 other mountaintops, each with an elevation exceeding 4,000 feet. Framing the Presidential Range are Crawford Notch, Franconia Notch, and Pinkham Notch, three of the most impressive wonders in the eastern part the country. The White Mountain region has numerous other points of interest: the Flume, the Pool, the Basin, the Old Man of the Mountain, Glen Ellis Falls, the Lake of the Clouds, Echo Lake, Profile Lake, and the White Horse Ledge, to name a few. The stereo technique dates from the earliest years of photography. Stereo photographs are two images of the same view taken from slightly different points, which when observed through special glasses appear as one with an added dimension of depth. Photographers took these three-dimensional views to exemplify and to preserve in print the beauty, wonders, and wealth of nature. 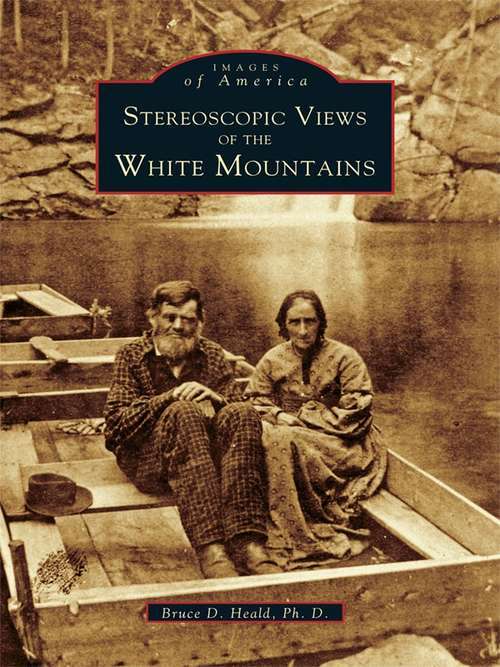 Stereoscopic Views of the White Mountains contains more than 200 reflective stereos of the region's mountains, lakes, rivers, and streams. These breathtaking views of the landscape, the resorts, and the villages were taken during an excursion on the early railroads. They recall the romance and idealism of the rail and stagecoach era.